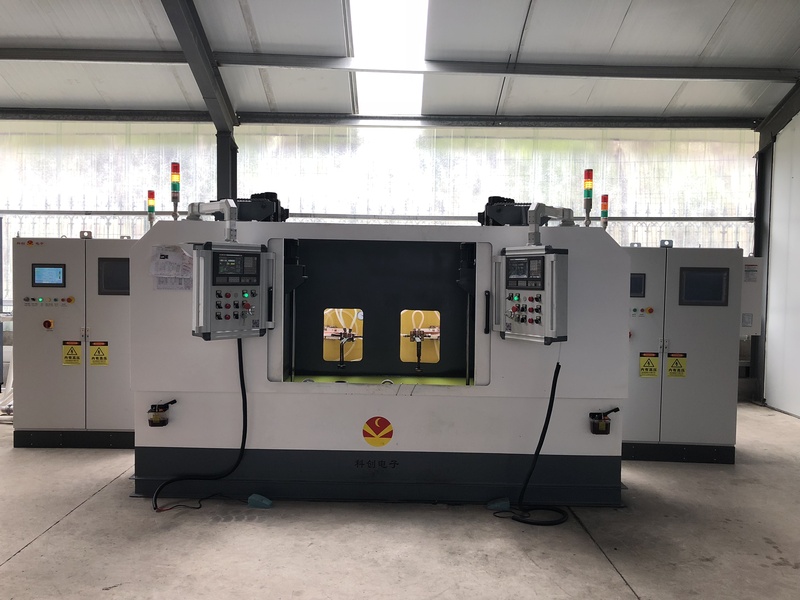 1 Machining center for machine, electricity, cooling integration, occupying a much smaller area than the split heat treatment equipment, equipment layout, rapid installation and removal, debugging convenience. 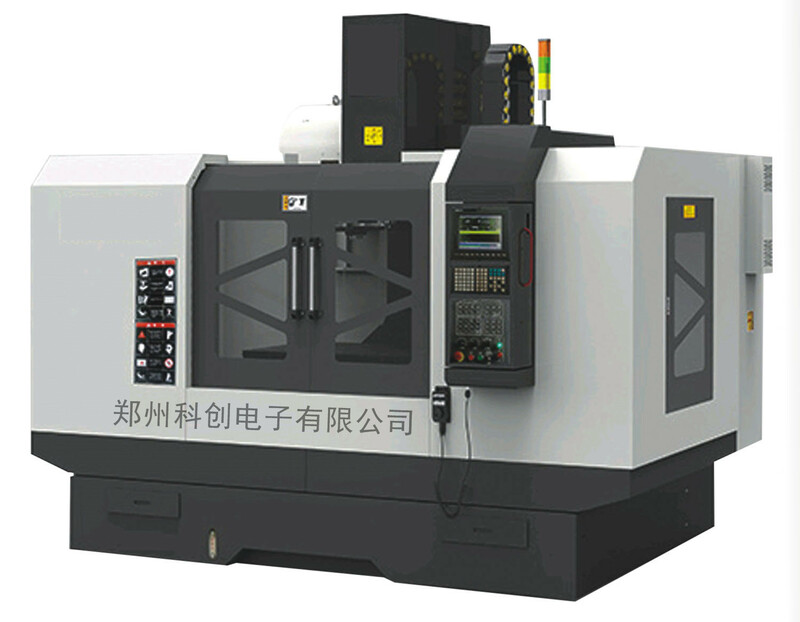 2 It has automatic functions such as continuous automatic production , workpiece clamping and machining confirmation , automatic unloading and so on. 3 With manual, automatic operation, equipment control panel with live state display lights, with adjustable speed function. 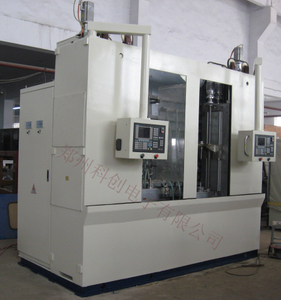 4 With tooling, induction coil quick change function. 5 The installation of induction coil has the function of positioning and clamping, and the precision of repeated positioning is very high. 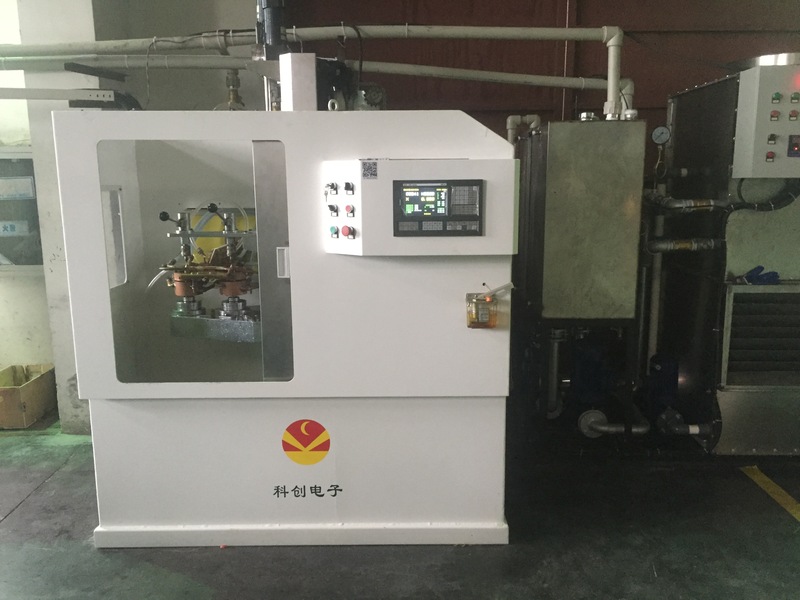 6 There can be no contact between the guide rail of the quenching machine and the quenching medium in order to ensure that the lubricating oil of the guide rail will not drop into the quenching medium so as to prevent the medium from being contaminated by the guide oil. 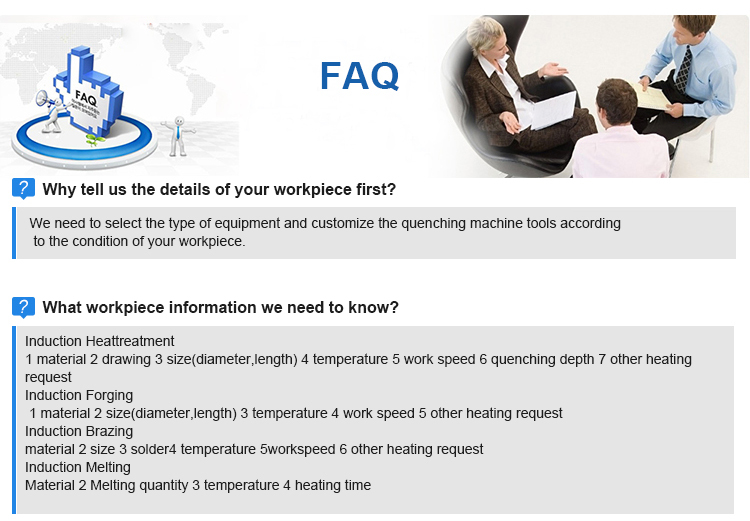 7 It has the function of anti-error, anti-freeze and alarm in the position of clamping and mixing of different products, so as to avoid product disqualification, equipment damage and personnel injury during production. 8 The control system can store thousands of process programs and design multi-level permissions. 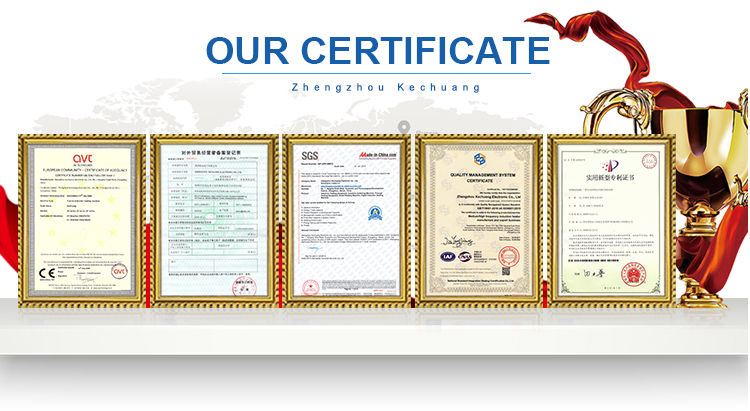 Only the technicians can modify the program by entering the password, and the general staff can only operate and not modify, so as to avoid the process confusion. 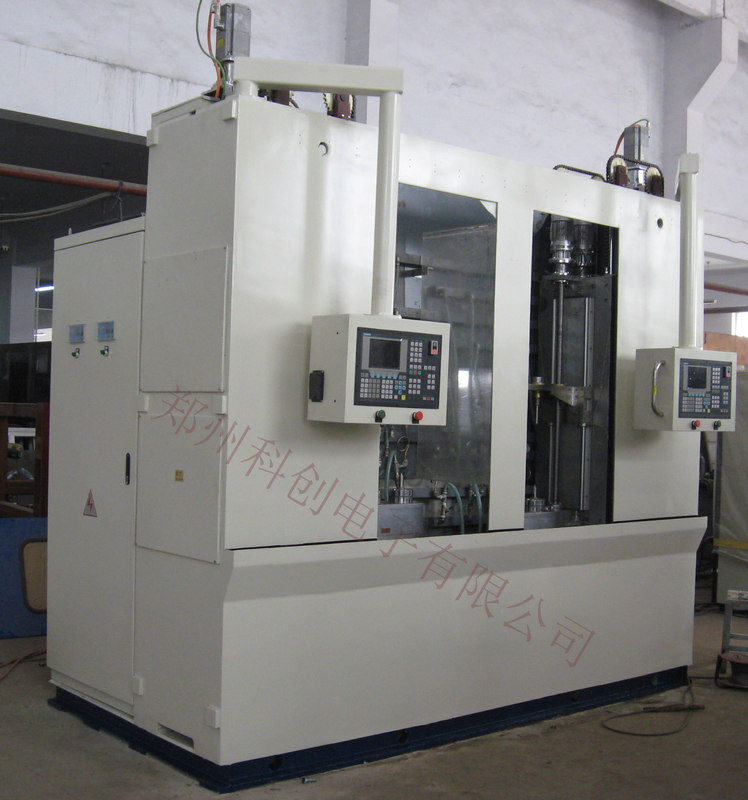 9 The control cabinet meets the requirements of IP54 seal protection, and installs special air conditioning for electrical cabinet to avoid overheating electrical components.